Neal Dellett has 30 years as a Continuous Improvement consultant and practitioner working with billion dollar name brands. 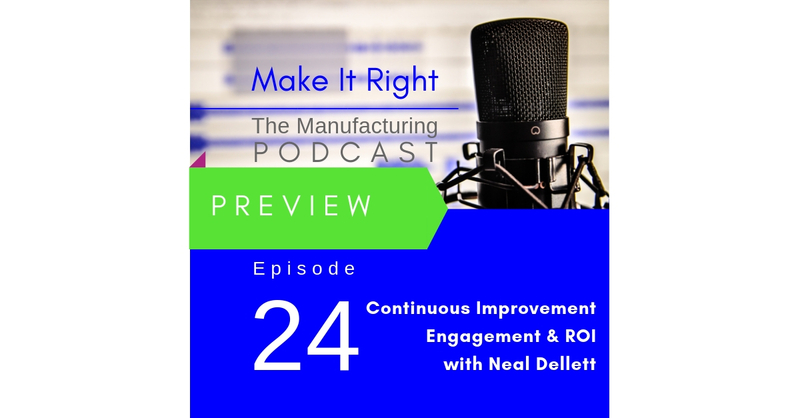 This week on the show we discuss the ROI of continuous improvement, how to bring around the skeptics and how to get all the teams to work together. Full show coming Friday!